A 60-year-old Stuart woman is dead after a seemingly straightforward rollover car crash that actually presents some complicated legal issues. According to police and witnesses, the woman was on S.R. 710, driving westbound in a Nissan a “short distance ahead” of a 39-year-old Okeechobee man in an F-350. The F-350 rear-ended the Nissan, causing that vehicle to leave the road and overturn. The force of the impact also propelled the F-350 off the shoulder, through a ditch, and into a barbed wire fence. The Nissan driver was pronounced dead at the scene, and the F-350 driver was rushed to a nearby hospital with serious injuries. Neither person was wearing a seatbelt, according to the Florida Highway Patrol. In these instances, liability may seem relatively clear. But that’s not always the case. One common insurance fraud scam is the so-called “swoop and squat,” in which an unscrupulous person suddenly pulls out in front of another car, applies the brakes, causes a car crash, and promptly files a claim against the other driver’s insurance company. Insurance adjusters not only routinely deny claims in these situations, but also report these claimants to the authorities. This scam is so common in Florida that there is a move afoot to repeal the no-fault insurance law, a move which lawmakers hope will eliminate these fraud cases. Oftentimes, these collisions also involve the last clear chance doctrine. If Terry Tortfeasor rear-ends Vincent Victim, Terry is not responsible for damages if Vincent could have avoided the car accident, perhaps by changing lanes or reducing speed, but failed to do so. In these instances, Vincent, or any other victim, must have the last clear chance and not the last theoretical chance. Many times, especially on crowded Florida roadways, the victim cannot safely avoid a car crash in these situations. Finally, the negligence per se shortcut may not be available in these cases, even though the tortfeasor clearly violated a safety law by following too close. That’s because the unsafe following may not have substantially caused the car crash, which is the second element in negligence per se cases. All these questions fall under the contributory negligence doctrine. If the victim and tortfeasor shared responsibility for the Port St. Lucie car crash, the judge will divide damages between the parties based on their percentage of fault. Like every other state except New Hampshire, Florida has a mandatory seat belt law. Largely in response to this law, Florida courts declared that seat belt non-use is admissible in car crash cases, a ruling that broke ranks with the majority of states. For such evidence to be legally admissible, insurance company lawyers must normally do more than introduce generic seat belt safety statistics. Instead, they must clearly establish that the victim’s damages would have been X percent less if the victim had been wearing a seat belt. 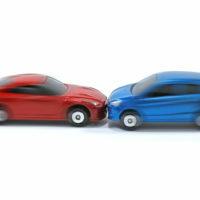 Almost all car crash cases involve highly technical legal and factual issues. For a free consultation with an experienced personal injury attorney in Port St. Lucie, contact Eighmie Law Firm, P.A. We do not charge upfront legal fees in negligence cases.